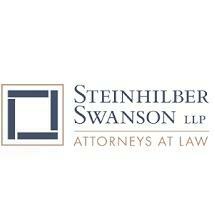 As a general practice firm, the attorneys at Steinhilber Swanson LLP have the depth and breadth of experience required to serve individuals, families and businesses. Our first concern, always, is our clients and ensuring they receive sound legal counsel which enables them to focus on what really matters - their family and business. With a reputation for expertise, professionalism and integrity, each attorney is committed to ensuring that our clients benefit from the best possible outcome of the many legal situations they will encounter during a lifetime. Come to us first and we will assess your unique set of circumstances. From there we will work diligently and aggressively to represent you and to safeguard and pursue your best interests. Established in 1977, our firm has been providing legal services throughout northeast Wisconsin for over 30 years. Our founding partners, Wayne Chaney, Jack Steinhilber, Tom Nesbitt and Vern Swanson, started the firm with the intention of creating a law firm that offered a wide range of services by recruiting attorneys with diverse interests and skill sets. As time progressed the partners and the firm name has evolved, but the original intent of the founders has remained the same. Today, the firm is well recognized and respected and enjoys a solid base with partners well-regarded in their areas of expertise. In addition, the firm has associates experienced and dedicated in their unique practice areas. With eight attorneys and a team of paralegal professionals, Steinhilber Swanson LLP is prepared to meet the many legal challenges faced by individuals, families and businesses.